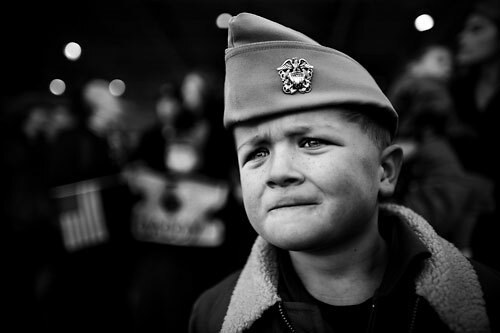 "Waiting" Evan Burgoon, 5, watches his father Lt Cmdr. Ian Burgoon of the VFA 211 land at the Oceana Naval Air Station in Virginia Beach, VA, Tuesday, December 18, 2007. The squadrons returned home to Hampton Roads following a six-month deployment aboard the aircraft carrier USS Enterprise. The strike group has spent 13 of the last 20 months at sea supporting troops in Iraq and Afghanistan.